I didn’t love the first book in this series, so I approached this story with caution. But Anita has more grit and a few more sharp edges than Kate did in the first book. I liked Anita from the outset and I enjoyed her story more than I did Kate’s. However, this is also a baby-focused romance and just when I started to feel a connection to Anita, motherhood consumed her and she emerged a little bit more bland on the other side. As with Shane in the first book in this series, I feel like Bram gets forgiven too many times for really hurtful behaviour. I found him a difficult character to like but he does redeem himself better than I felt Shane ever did. For me, the strength in this book is the way the author managed the huge plot twist shocker in the second half of the story. This storyline pulled the characters together and brought the two families to life in a way that left me emotionally raw and crying ugly tears. This hasn’t been a favourite series for me and I’m not sure I’ll commit to the next book. I am aware that most of my reservations are personal. I’m not keen on children in romance writing and I’m especially not keen on babies. I do like the adult characters here, but I really haven’t loved any of the men in this series so far. Nicole Jacquelyn is the author of the popular Aces series as well as the Fostering Love novels. She is also the mom of two little girls and one lazy Boxer pup. She hasn’t watched television in well over a year, she still does things that drive her mother crazy, and she loves to read. Since the age of twelve she knew she wanted to be a writer. But first she became a mom, then she went to college, and during her senior year–with one daughter in first grade and the other in preschool–she sat down and wrote a story. 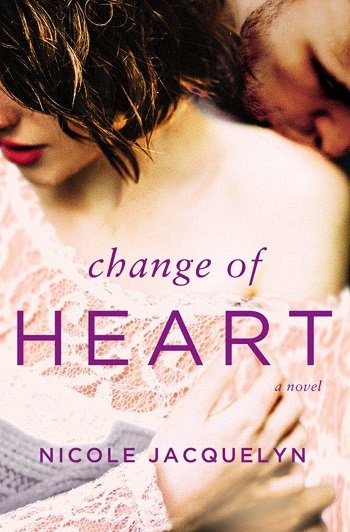 Reviewers on the Wicked Reads Review Team were provided a free copy of Change of Heart (Fostering Love #2) by Nicole Jacquelyn to read and review.